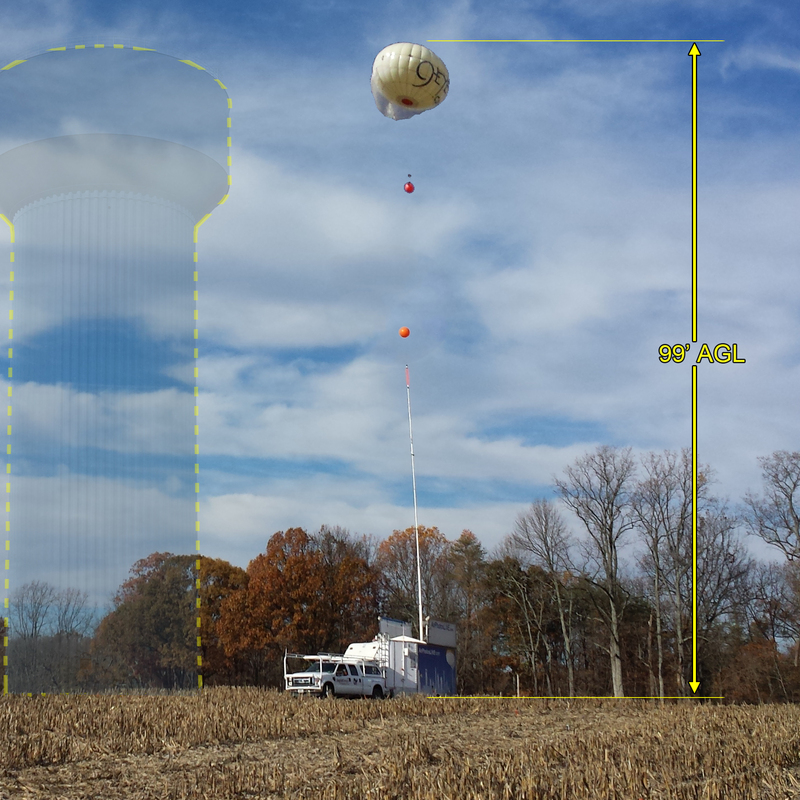 Whether for mitigation, zoning, or marketing, DDIS offers both public and private balloon tests to help our Clients (and the public) understand a proposed tall structure’s visual impact in the landscape. These required tests must comply with specific balloon test performance criteria and simulation guidelines of the National Park Service, the Bureau of Land Management, and most zoning authorities. Our services exceed these requirements. These tests are often needed for structures ranging from utility infrastructures (power lines, water tanks, and cell towers) to skyscrapers. Depending on the scale of a project, DDIS uses our 12ft-wide custom aerostats, our 60ft mast, our launch trailer, or ground markings to indicate the location and height of the proposed tower or structure. During the balloon tests, we utilize professional photographers to document the visibility of the balloon from key public areas within the adjacent community, per accepted industry standards. Accurate laser range finder height and GPS readings for both the balloon and the camera are recorded for each photo. A standard balloon test usually consists of these above discussed photographic documentation, a photo location map, an unbiased visual impact report, and several photo simulations or renderings of the proposed structure within the scene. We pride ourselves in the fact that our visual impact study services and resulting reports have been accepted as expert testimony in many Federal, State, and Local court zoning cases over the last 15 years.